Leading Wholesale Trader of data communication system electrical cable, data communication system cable, power control cables and lapp cables from Chennai. Leveraging on our vast industry experience, we are offering a broad gamut of Data Communication System Electrical Cable. This cable is widely used in the electrical industry for optical communication purposes. Under experts’ direction, the provided electrical cable is manufactured with high precision using quality approved basic materials at vendors’ end. 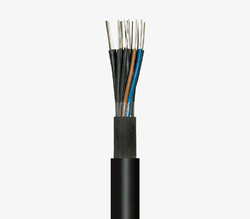 Accessible in various sizes, this cable is provided to the clients at marginal prices. Backed by rich vendor base, we are involved in offering Data Communication System Cable. 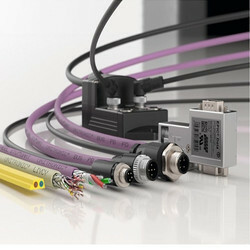 This system cable is designed and manufactured using high grade basic materials with the help of modern techniques by vendors’ deft professionals. The offered system cable is mainly installed at industries for optical communications. Also, we are offering this system cable in diverse dimensions at pocket friendly prices. We have carved a niche amongst the most dominant names in this domain, instrumental in providing an excellent quality range of Power And Control Cable. Since our establishment, we are involved in offering a broad collection of LAPP Cables. Under experts’ direction, the provided cables are manufactured with excellent precision using quality assured basic materials with the aid of innovative methodology. Well suited for connecting different electrical devices, these cables are provided to the reputed clients at feasible prices. Looking for Electrical Cables ?